SAN FRANCISCO -- The Congressional Black Caucus is not pleased with Silicon Valley's lack of progress when it comes to hiring more African-Americans, saying Tuesday that there is a "shameful lack of diversity within these firms" that must change at all levels of the tech industry, ranging from non-tech positions all the way up to the boards of directors. 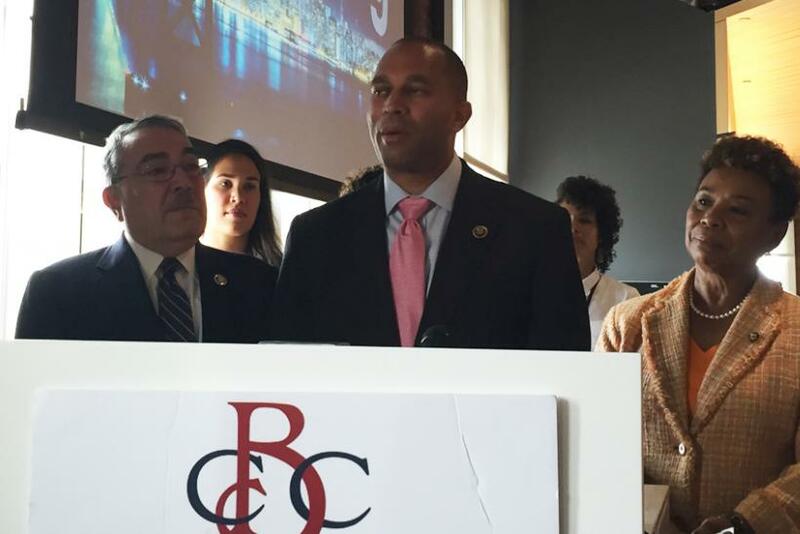 U.S. Reps. G.K. Butterfield, D-N.C., and Barbara Lee, D-Calif., co-chairs of the CBC Diversity Task Force, along with U.S. Rep. Hakeem Jeffries, D-New York, are in the San Francisco Bay Area this week to put a spotlight on the diversity plans of the top 20 tech companies in Silicon Valley, "or their lack of diversity," Butterfield said at a news conference here. Already, the members of Congress have met with officials from Apple, Intel, Pandora, Google and SAP. Although the lawmakers are optimistic that these companies are committed to diversity, they said they also were disappointed by what they've seen thus far. None of the companies has an African-American on its board of directors, and of the 189 director positions within the top 20 U.S. tech giants, only three were held by a black person, the CBC said. "That is very disappointing because African-Americans are part of the customer base of all five of these companies," Butterfield said. "We have expressed our disappointment to all five companies about the lack of diversity on their boards." The CBC is asking these companies to reach full African-American inclusion by the year 2020, an initiative that is known as Tech 2020. CBC members said they have suggested tech companies broaden their hiring of minorities for nontech positions, recruit from historically black colleges, and implement a policy that requires managers to interview at least one minority candidate for every open position. That policy is modeled after the National Football League’s so-called Rooney Rule, named after Pittsburgh Steelers owner Dan Rooney, which requires teams to interview minority candidates for their top jobs. Facebook has already adopted this strategy. The three representatives said they also raised the issue of lack of diversity at venture capital firms, which are the companies that provide funding for startups. Of the partners at these firms, just 1.54 percent are black, and as a result, only about 1 percent of new tech companies are led by African-American founders, according to CB Insights. "The Congressional Black Caucus has come to Silicon Valley to work with the tech companies, not against them. Innovation is a tremendous engine of growth and oppportunity that will continue to be a very important part of our 21st century economy. That is why it's important that these opportunities be available to all Americans," Jeffries said. "But the numbers speak for themselves, and we understand that these opportunities have largely been unavailable to members of the African-American community," he added. "That must change."